When John Bangura heard an inner voice speak those words, the hatred in this Sierra Leone refugee’s heart was transformed from a need for vengeance into a mission of peace. Bangura had been angry for a long time. During the civil war in Sierra Leone, he witnessed the massacre of his parents, seven other relatives, and most of his town. He watched violence destroy the country, leaving its surviving people impoverished, traumatized, and often maimed. Living as a refugee in Denmark while the war raged on at home, Bangura’s mind had been fixed on one thing: vengeance against those who were causing so much suffering. Bangura heard the call to save his country while attending a reconciliation conference in Tanzania. Quickly, he phoned a relative back in Sierra Leone and asked him to pass on a challenge to those he trusted: “Are you willing to work for your country without being paid? To go on a journey of healing, risk your life and not point a figure of blame at anyone?” Ten people responded, and Hope-Sierra Leone (H-SL) was born. Initially, H-SL worked with rebels to help clear the way for UN Peacekeeping efforts. But when the war ended, the Peacekeepers left. 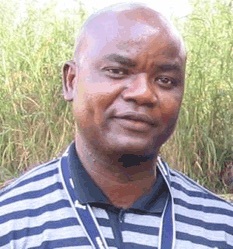 Bangura established H-SL offices in four cities in Sierra Leone, and developed programs in agriculture, peace and reconciliation, and clean, fair and violence-free elections. He does it all in regular trips to Sierra Leone from Copenhagen, where he continues to drive a bus to support his wife and children. Bangura knows that individual healing is an essential key to his country’s future. H-SL’s agricultural programs, for example, cultivate peace as well as rice, by bringing previous enemies to farm together, so they can cooperate and reconcile while working to feed their families and country. More than 500 ex-combatants have joined such projects. H-SL’s peace and reconciliation programs also bring together the military, police, and civil leaders to heal distrust and overcome hatred for the sake of a stable democracy.